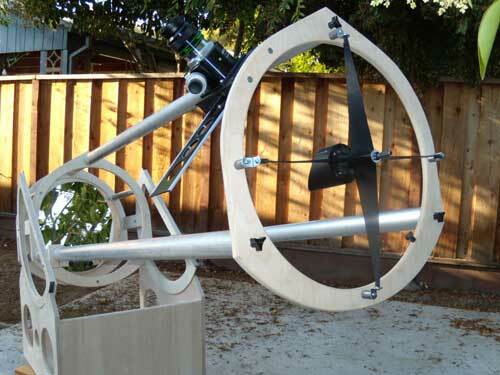 This 17.5" f4.8 Newtonian is a remake for Jim in Alameda California. 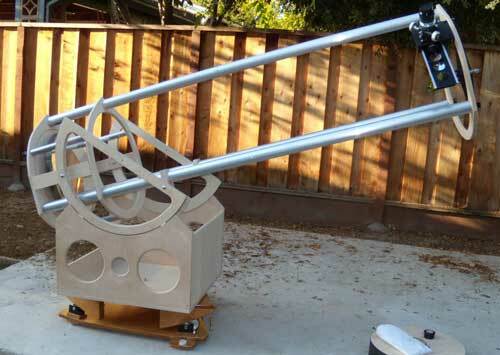 The telescope sits on an equatorial table that Jim uses as his "ground board". 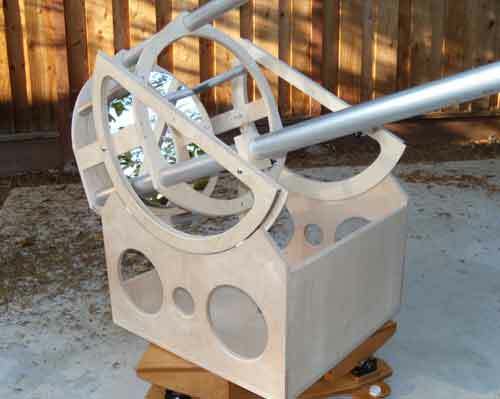 Jim asked that I leave the wood of the telescope "unfinished" so he can apply a custom color himself. The telescope was completed in September 2009. The scope is set up and ready to use. Notice the equatorial table. 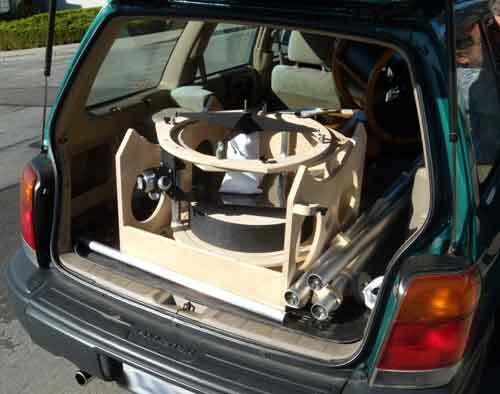 Dimensions of rocker box: 13"x24.5"x26"
Height of "mirror box": 12"
Inside diameter of OTA: 19.5"
Diameter of altitude Bearings: 23"
The front ring with the traditional straight vane spider, Antares 2-speed 2" crayford focuser and filter holder. 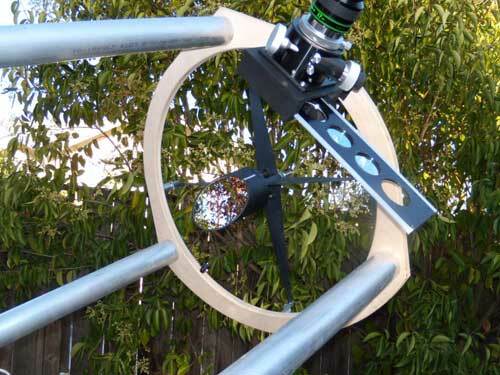 A pair of 12Vdc fans help cool the 17.5" mirror. The mirror is held with an 18-point flotation mirror cell. The mirror is held onto the cell with silicone. 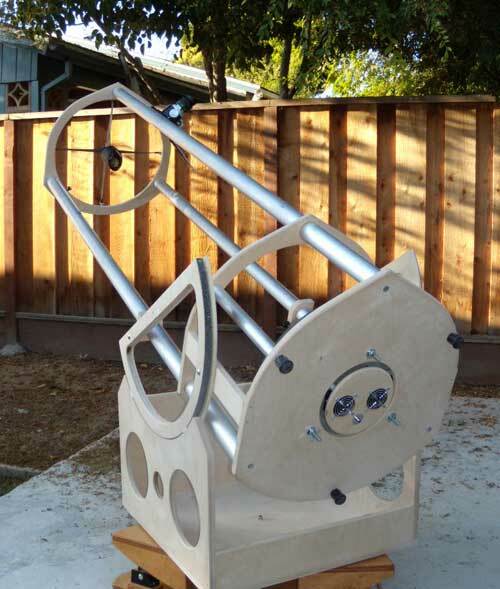 Here's a good view of the focuser, spider and filter-holder. Detail of the rocker box. 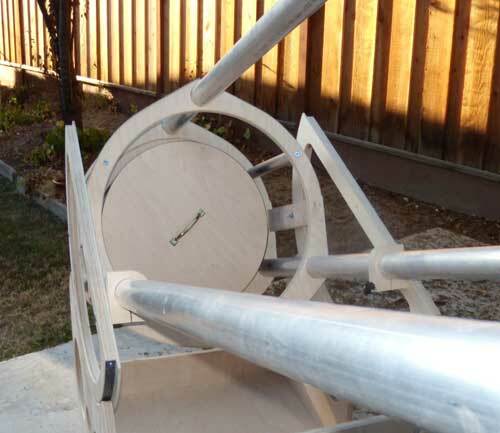 The altitude bearings are 23" in diameter. I always include a custom made mirror cover with make-over and complete telescopes. Here's the 17.5" in Jim's car. Easy transport.